In different kinds of companies and organizations, employees are required to work a specific number of hours and a specific number of days each week. Some companies choose the more traditional 8 hour shifts, 5 days a week while others go with more flexible schedules. One such kind of shifting schedule happens to be the DuPont schedule. 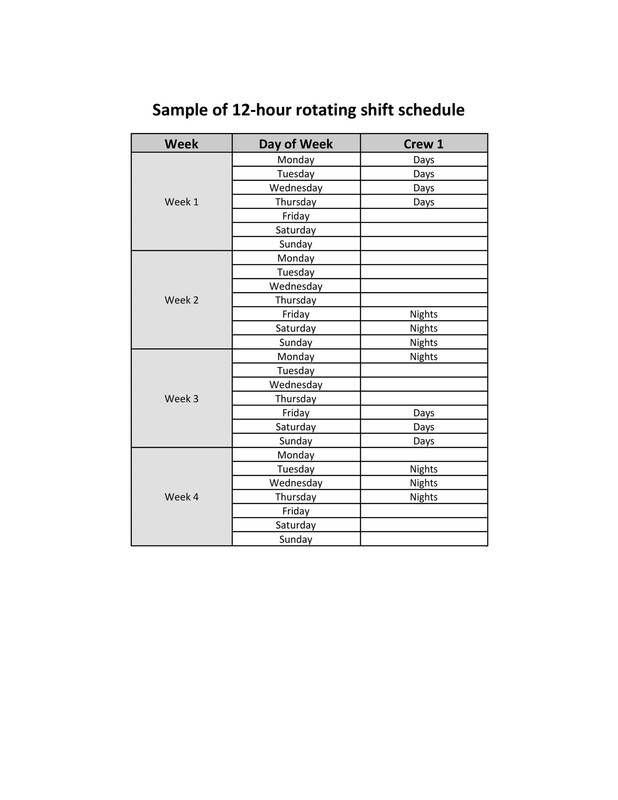 This is a 12 hour rotating schedule for shifting which commonly needs 4 crews or teams who would be working on two 12-hour shifts to allow 24/7 coverage. With this kind of schedule, each employee would be working an average of 42 hours each week. This schedule was named after the company which had created it way back in the 1950s. The most distinct feature of this schedule is that the employees get to enjoy 7 or 8 consecutive rest days at each 28 day schedule rotation. Making a 12 hour shift schedule can be quite complicated if you are not used to it so keep in mind that a DuPont typically contains maximum work schedules of 4 day or night shifts and a rest day scheduled between 3 night shift schedules and 3 day shift schedules. 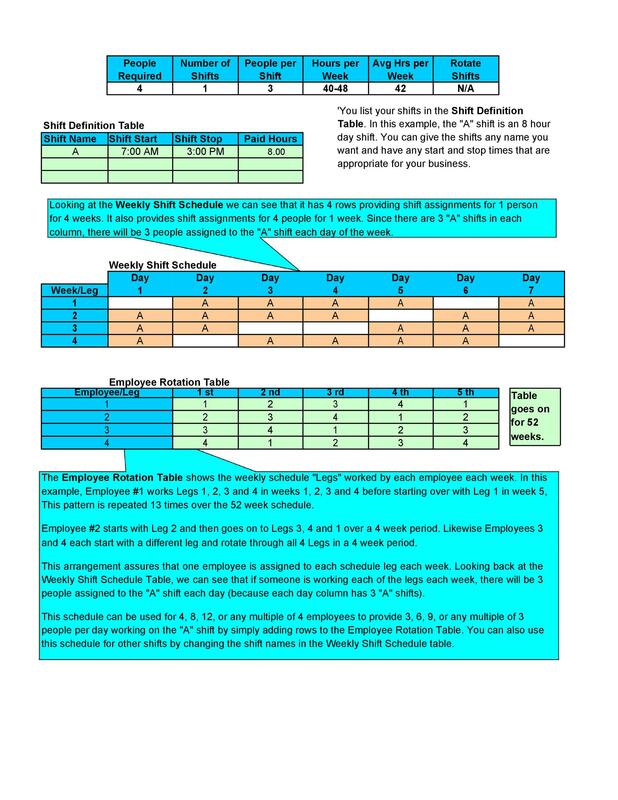 Though not many companies have adapted this kind of shifting schedule, the employees of those companies who do actually really enjoy the 7 or 8 day break within the 28 day rotation cycle which serves as sort of a mini vacation. However, usually the rest day isn’t enough to make up for the 3 consecutive day and night shifts which surround it. This article is all about the unique shifting schedule from its characteristics, advantages and other information which you may find useful if you’re considering making use of this type of shifting schedule in your company. 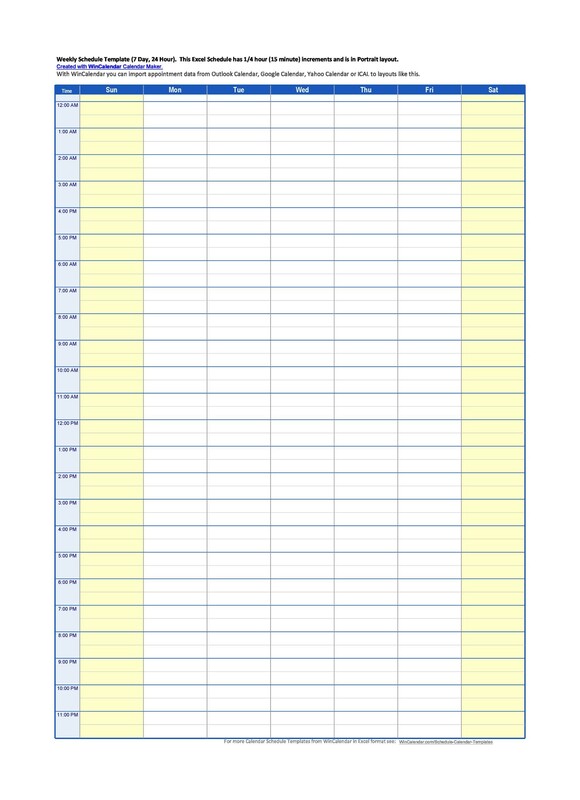 Making a DuPont schedule can be quite intimidating if you’re totally new to the concept and you don’t have enough information regarding it. To be able to make an effective schedule for your employees, you’d have to learn the basics – which are the characteristics of the schedule as well as definition of these characteristics. The Plan ID is a unique code which you can use to identify your shifting plan for your employees. 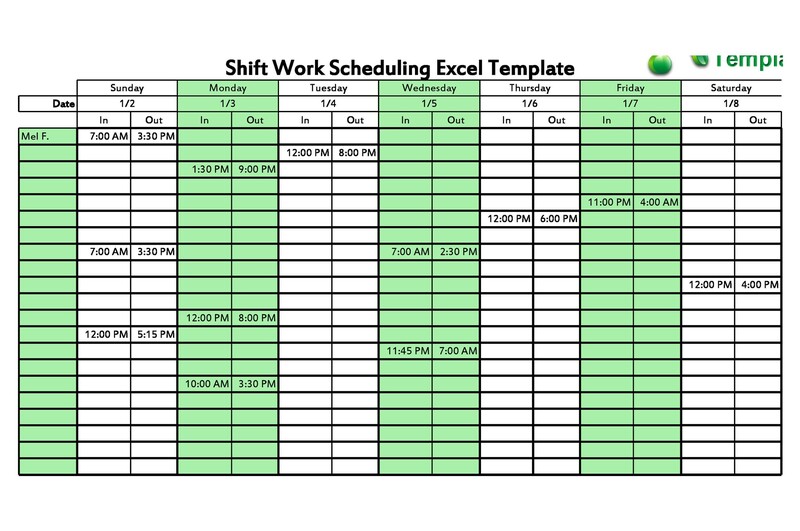 The Name of your shift plan should be included in your document. The Applicability refers to the kind of work your shifting plan was created for. The Teams required would refer to the number of teams which would be needed to work on the shifting schedules on the plan you created. A team or crew may be made up of just one or more people. The Shifts refer to the different shifts you had plotted on the pattern. The description of the shift and the length of it are included in each of the shifts. The time the shifts start and end can be modified to fit into your own business as long as the length of each shift isn’t changed. The Repeat Cycle refers to the number of days each team is required to complete for the whole shift sequence. When the repeat cycle has been completed, they would all have to begin the same shift sequence again. Rotating Shift Pattern: when a team rotates from a shift to another based on a specific pattern. Forward Rotation: when a team rotates to a shift later in the day from a shift earlier in the day. Backward Rotation: when a team rotates to a shift earlier in the day from the shift later in the day. Fast Rotation: when a team rotates shifts once every couple of days. Slow Rotation: when a team works on a particular shift for a number of days or even weeks before rotating to a different shift. The Average Hours Per Week refers to the average number of hours each employee works each week as per the length and sequence of the shifts. The Staffing Fluctuation is the variation of the level of staffing as your planned schedule progresses with regards to shifts and days. Keep these characteristics in mind when you’re planning out your schedule for your employees so that it’s clear and proper. Now let’s take a look at the different advantages of this kind of schedule in a company or organization. 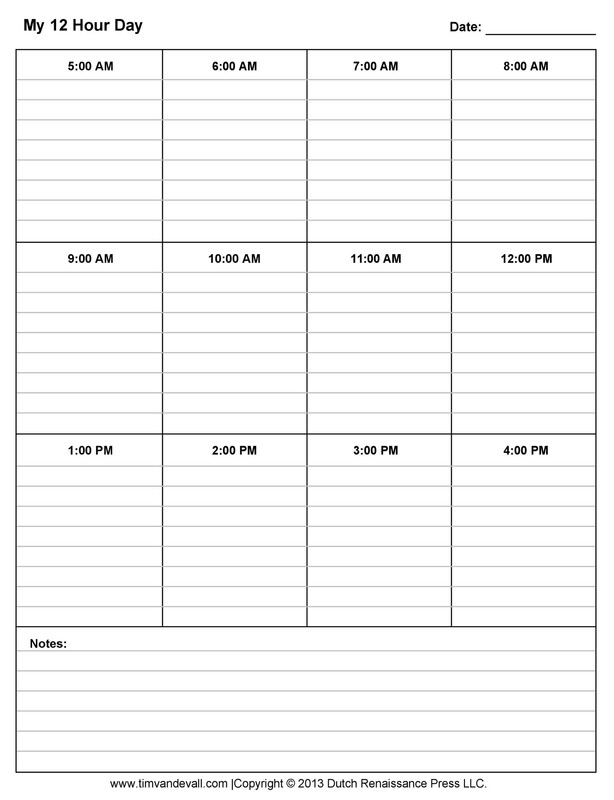 There are quite a number of advantages for designing and employing a 12 hour shift schedule template such as the DuPont one. As you would see, these advantages don’t just apply to the employees but to the employers as well so you may start considering it for your own company. As you can see from the first section, each 4 week work cycle comes with at least 7-8 consecutive days off. This is particularly appreciated by employees as they would be able to spend a lot of days resting, spending time with their families or doing recreational activities. The employees would also be able to take care of personal appointments and save on daily expenses which come with working such as costs on commuting and food. Unlike the typical 8-hour shift, 5 day workweek schedule, this kind of schedule gives employees a lot more weekends off, especially if rotations are done. When looking at figures, the maximum number of full weekends employees on 8-hour shifts can enjoy is about 13 each year while there are 26 possible full weekends annually for the 12 hour shift schedules. Though the having to work for 12 hours straight can be quite taxing, employees do get to enjoy longer breaks in between. Ideally they would use these longer breaks to rest up for the next shifts but of course they can make use of their time however they wish. 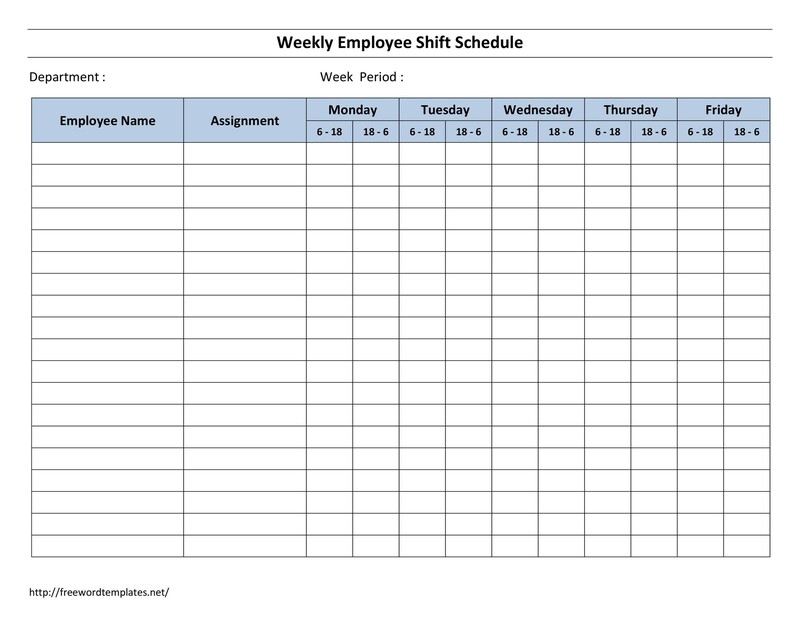 In having this kind of schedule, employees don’t have to worry about assigning double shifts to employees to make up for others who are absent because teams work on each of the shifts. Afternoon shifts are also avoided, which is hugely unpopular for employees and employers as well. These benefits will really work for your advantage and would keep your employees happy and satisfied with their work. Really, who doesn’t want to have mini vacations each month? 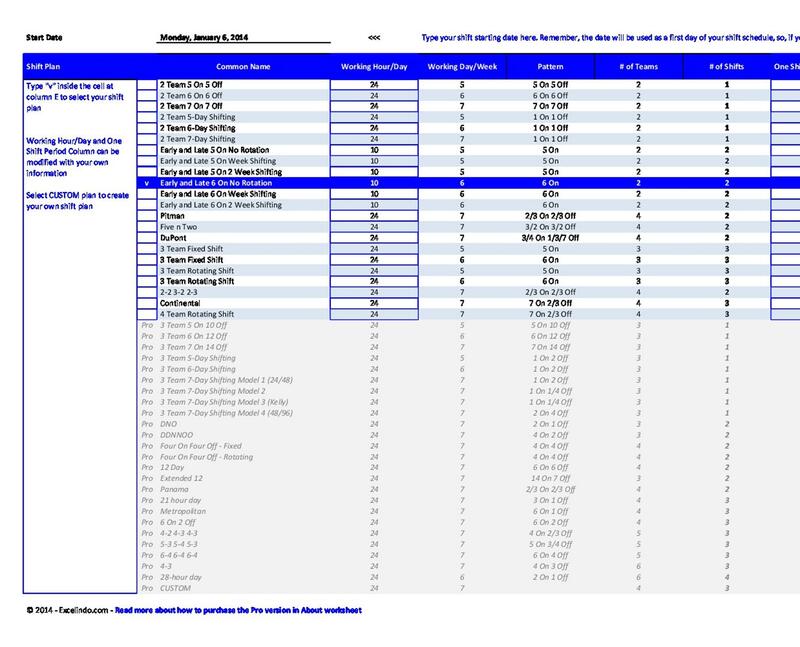 Now before you start plotting your schedule for the company, it would be helpful for you to consider a few things first. 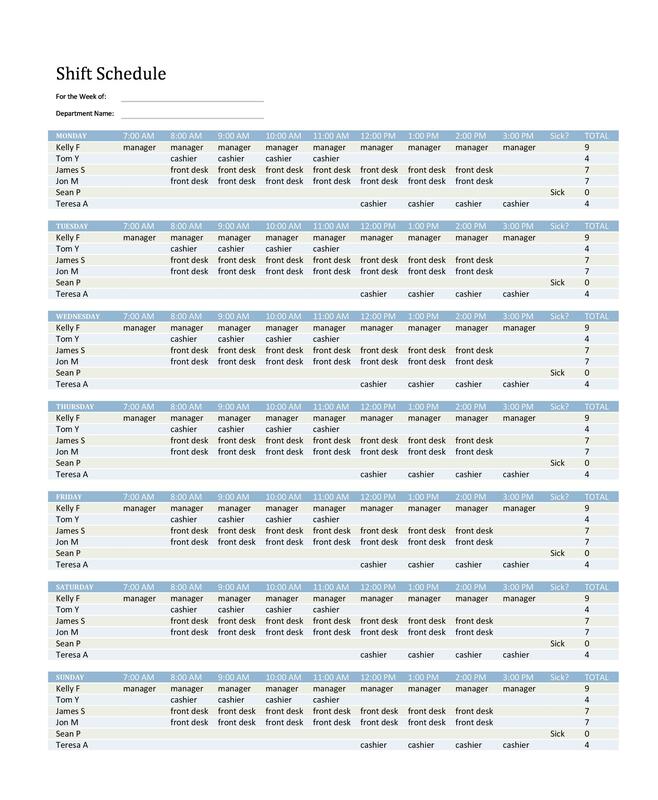 Since you would need at least 4 teams or crews to be able to pull of this kind of shifting schedule, you would have to take into consideration the size of your staff. A smaller staff might not work in this case as your employees might end up being stretched too thin when working on the different shifts. 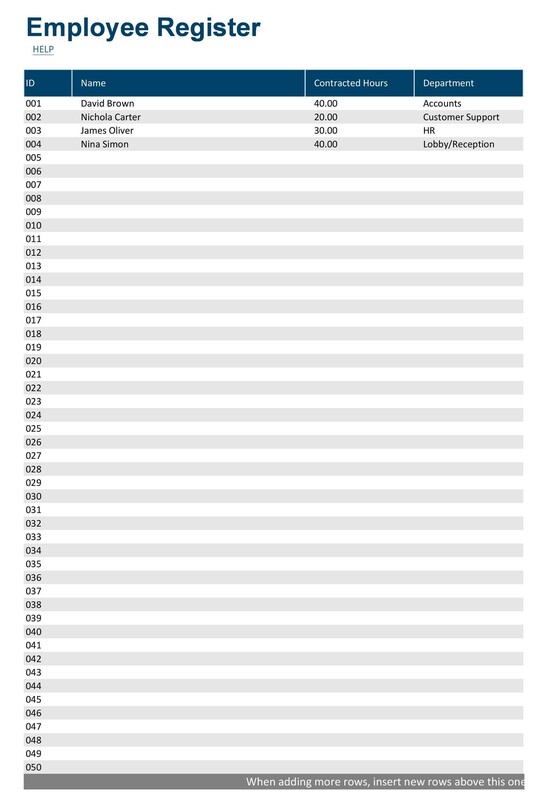 This kind of schedule must be able to come up with a stable workload coverage each and every day per week. The shifts may have varied workload coverage but it’s important that it should be the same each and every week. If you think you would be needing more coverage, you might have to combine the 12 hour shift schedules with 8-hour shifts which overlap. Think long and hard about how you will be able to pull of this particular kind of shifting schedule in your company. Make sure you create a good schedule while taking into consideration all the teams and employees who will be working the 12-hour shifts. Also speak to your employees about the schedule if it’s a new thing you will be introducing. If you plan to have a 24/7 constant coverage in your company, you’d have to come up with a few shift schedule examples to be able to see the bigger picture as well as all the drawbacks and possibilities that come with it. 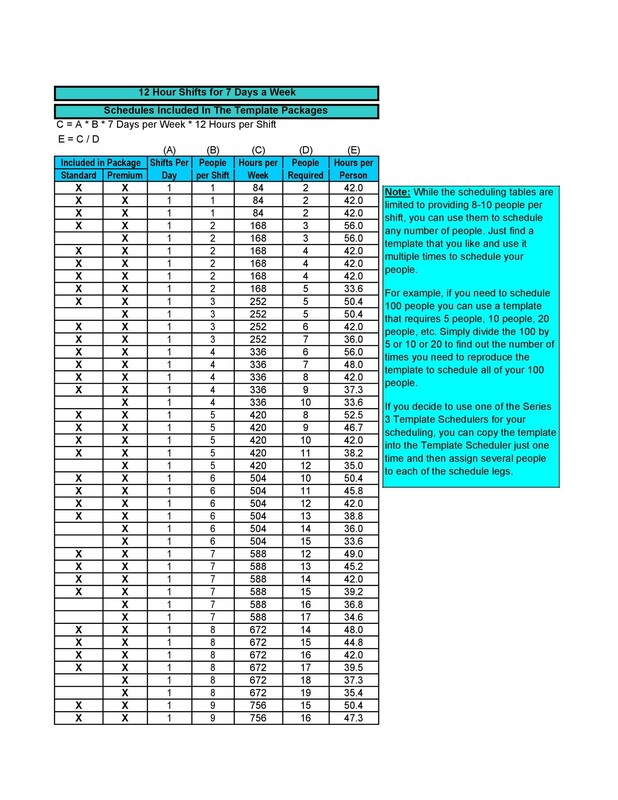 Do your research and look at different templates aside from the DuPont shift schedule if you find that it isn’t really applicable to your own organization. If you find that your staff size isn’t enough, then maybe you can make your own personalized work shift plan and pattern, one which would fit into your company. Never sacrifice your employees just to be able to come up with a plan which doesn’t actually work for you. You can use different references and come up with a pattern that is your own. 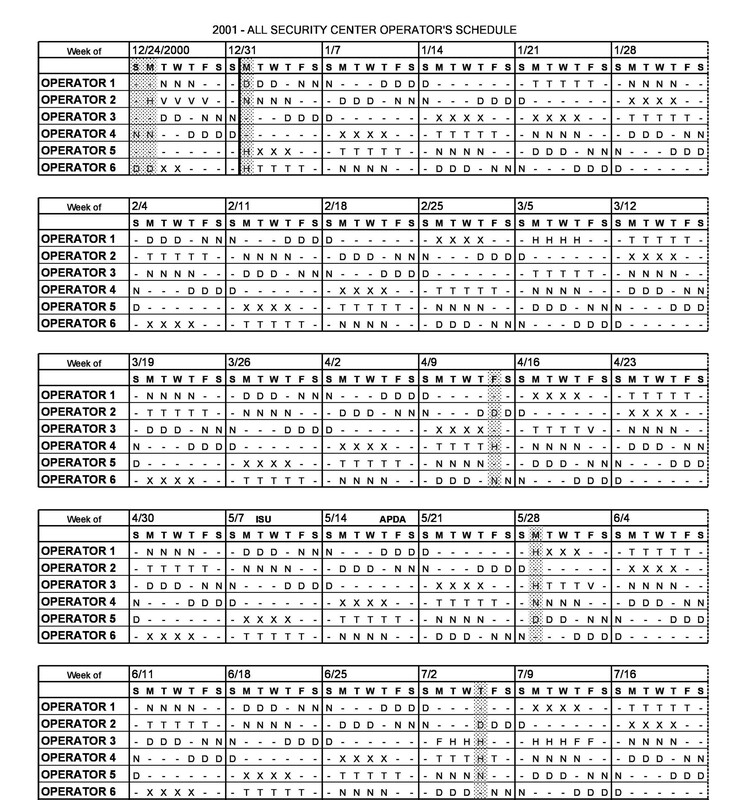 Now that you’re more equipped with information about the DuPont schedule, let’s take a look at more useful facts about this and other such 12-hour shift schedule templates. These facts may eliminate the myths which you may have heard of about such schedules and may actually help convince you that these kinds of schedules are worth considering. Using a 12-hour shifting schedules in your company doesn’t mean that you would have to reduce your staff size or the number of employees in your company. Your company will still function for the same number of hours each week and all your employees will still be working all those hours, the only difference is the number of hours each week may vary. Actually, if your staff size is quite small, you may need to add on a couple more employees to be able to apply this kind of work schedule. Though long breaks and rest days come with this kind of schedule, you would also have to realize that the employees will be working longer hours too. For employees who are very used to the 8-hour shifts, you’d have to prepare them and inform them that the longer hours would most likely need adjustment on their end. If you’re unsure of the whole concept, you can actually introduce it to your employees first and then ask their opinions on whether they’d be willing to work longer hours while enjoying longer rest days too. 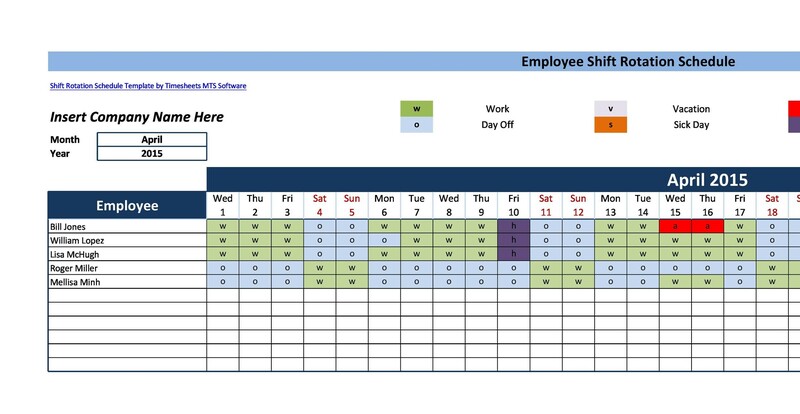 This would not only give youinsight on how your employees feel about this schedule but would also give you the opportunity to ask for feedback. Though 8-hour shifts are more popular and thought to be more practical, 12-hour shift schedules are more flexible and applicable to different kinds of work environments. Studies have shown that when a company changes from an 8-hour shifting schedule to a 12-hour one actually increases wages by around 2%. This increase comes from the fact that your employees would be working for only half of the week with 52 paid hours and the other half of the weeks with 36 hours of rest time. You have to consider how you’ll be handling overtime when you are changing shifts from the typical 8 hours to 12 hours. You have to look into the requirements of your state regarding overtime pay after the 8 hour shift and how you would handle that fact in your company. Though the employees would have to make a huge adjustment when you’re transitioning from 8-12 hour shifts, that doesn’t mean that their performance will decrease. Actually, since there are usually more rest days, the employees actually get to recuperate and reenergize for their next shifts. Not only that, your employees might be looking forward to the long breaks, which may actually increase their performance at work. Yes, the adjustment is big but the benefits that come with this kind of schedule are also quite good. If you’ve planned your schedule strategically, from the teams to all the start and end times of each of the shifts, your company might start working in a different and better rhythm. Having more days off would allow your employees to feel more free and more willing to work productively in the office. You would also be able to reduce shift turnovers as you would only have 2 shifts each day. Having longer shifts would also allow your employees to start on and complete tasks which take a longer time, and which they would normally have to accomplish for 2 8-hour work shifts. This means that since they are able to complete tasks in a day, more tasks will be accomplished each week. This is definitely a plus when you look at the benefits of using this kind of work schedule in the office. It’s true that most workers will be able to adjust to this kind of work schedule, but now all of them will be able to. Though there are more rest days, the longer hours might take a toll on a number of your employees, which you should also look into. Typically the younger workers might be able to keep up but if your company is comprised more of older workers; you might have to think about transitioning to this kind of schedule. You wouldn’t want to shift your schedule only to have your employees break down because of the longer hours. Your employees might end up getting sick often and you would be to blame. Again, consider your employees and speak to them about your plans. Also look at the kind of work your employees have to do. 12-hour desk jobs may be a lot easier to work with as compared to 12-hour jobs which involve a lot of physical activity such as heavy lifting or other strenuous work. This is an important thing to think about so you won’t have to deal with employees who are too tired to even show up or too fatigued that their overall performance suffers. For more physical kind of jobs, you may have to add in extra break times, no matter how short so that your employees can have time to recharge within the workplace and grab a bite or a drink to keep their energy up. Though employees may be able to cope and keep up with 12-hour shifts, your managers or higher ranking people might not be too keen with this kind of schedule. It’s important to speak to your employees about the change but it’s equally important to speak to your supervisors and managers in the company as well. Higher ranking people in the company might also benefit from this kind of schedule, as long as you’ve spoken to them and agreed with them about the terms of the transition. You may have to make adjustments to the salary of your supervisors and managers in order to convince them to get on board. The bottom line is: you have to consider a lot of things when making a big change in the company. You’d have to plan all the details well and meet with the right people before making important decisions. Communication is essential when making any huge transitions and changing shift schedules is one of those transitions. It doesn’t only involve a number of people in the company but practically everyone so think about whether this is the best step for you and if it is, then you can start planning your new shifting schedule pattern. Good luck!